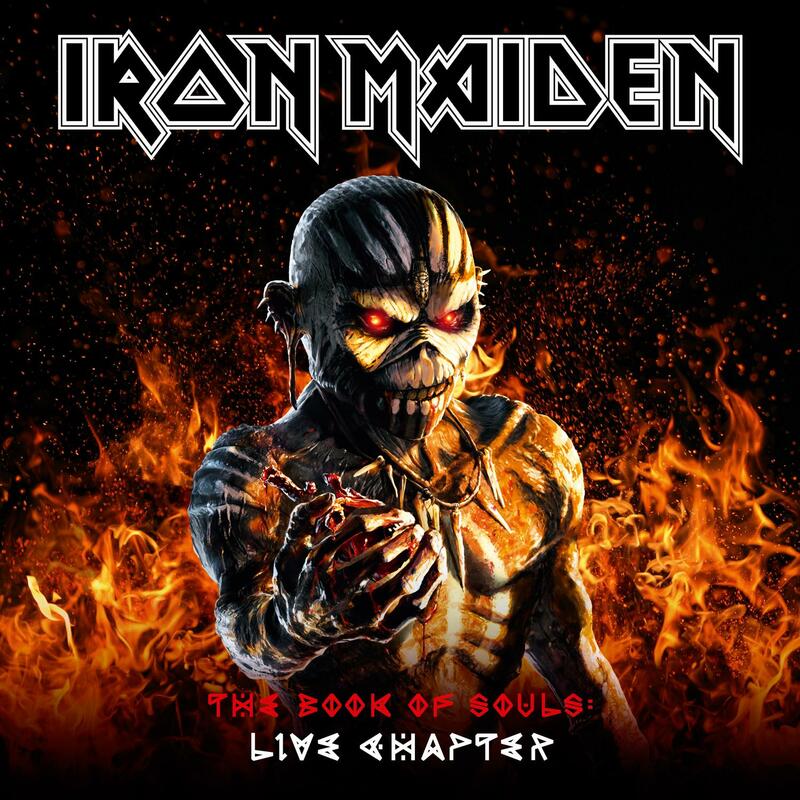 Iron Maiden - "The Book Of Souls: Live Chapter"
Steve comments, "We spent a huge amount of time working on this as I wanted to get it as close to the Maiden live experience as I possibly could and to represent our fans from different parts of the world. This meant listening to literally hours upon hours of tapes from every show, to select material and construct a sound that would run consistently across the whole album and capture the excitement of a new country like El Salvador alongside such regular favourites as Donington or Wacken." "On top of all that the release will be celebrated by an event that is a Maiden first: a free live streaming premiere of the concert film, as a thank you to our loyal fans around the world. We hope that the global Maiden community will all enjoy coming together to watch this special event online. Many of you will be in it as there is footage from a whole host of the places we played on this momentous tour." The album will replicate ‘The Book Of Souls’ original formats and be issued as a limited edition deluxe 2 CD hardcase Book, a regular 2CD album, a triple black vinyl LP, and digital download in high resolution audio (48khz/24 bit) including Mastered for iTunes (MFiT) version. A digital download of the concert film will also be available to purchase following its free online premiere.